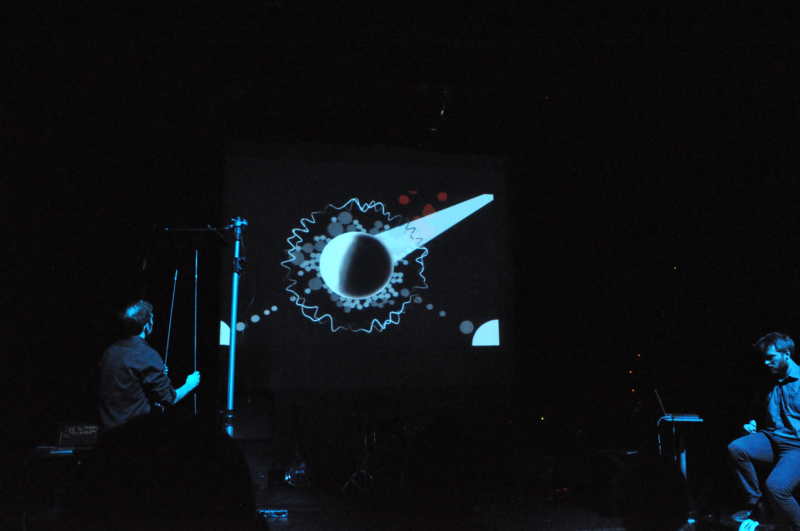 An audio-visual performance piece in collaboration with Christian Heinrichs. One man pedals on an old exercise bike, his pedalling, breathing, and heart beats form a positive feedback loop, generating orbs that fly towards a spinning globe. Another man stands with two lights switches, by shining light upon the orbs they can be drawn away from the globe. 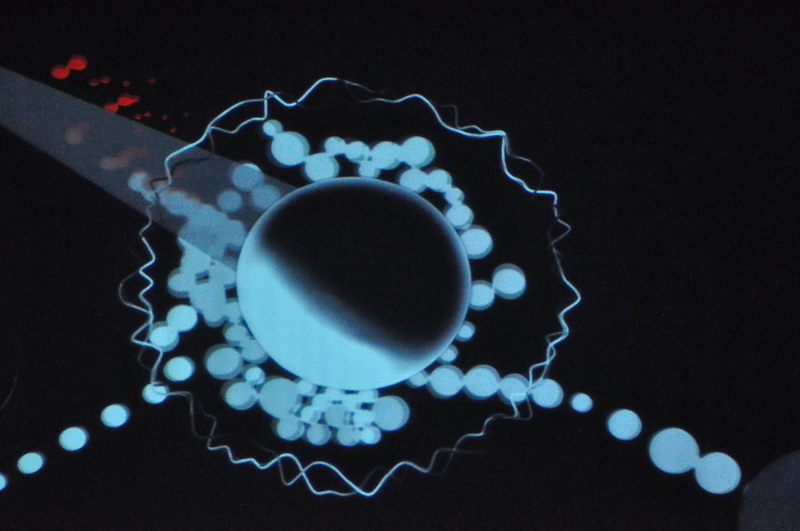 Software developed in Processing, audio design in Max MSP.